Lap band is a procedure that inserts a band-like device into the patient’s body in order to form a small top pouch of the stomach separate from the rest of the organ. This limits food intake, and consequently helps you tackle obesity. Unfortunately, not everyone can afford the hefty costs usually associated with the surgery, but for those interested in a more affordable alternative, you can try getting lap band surgery in India. 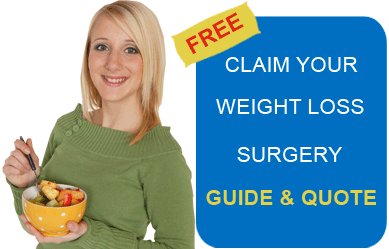 As in the case of lap band, there are many cities in India offering gastric bypass surgery. But while both are treatments and procedures for obesity, there are several differences between the two. Gastric bypass is a more invasive procedure than Lap Band. Lap Band procedures only require a few incisions to accommodate a camera and small tools into the patient’s body. Gastric bypass requires full surgery. In gastric bypass, doctors form a small pouch on top of the stomach, and connect and staple it directly to the intestines. This arrangement allows the digestive process to bypass the larger part of the stomach; hence the name of the procedure. In lap band, an inflatable ring inserted into the body forms the pouch on top of the stomach. This ring is adjustable so the doctor can make necessary regulations. Gastric bypass procedure usually takes longer to finish than lap band, and requires a longer recovery time. Lap band promises slower but healthier weight loss. If you opt for lap band in India, costs associated with living expenses could be much lower. You are, however, required to stay for at least three days after the surgery for post-op check-ups. Weight loss is faster with gastric bypass procedure, but there are risks of poor nutritional absorption. Perhaps the biggest difference of all is that gastric bypass is a permanent process. All a doctor needs to do to reverse lap band is to remove the inflatable ring. Before heading to India for Lap Band Surgery, you must be aware of the possible risks and complications that may arise. In comparison to other procedures though, lap band’s benefits include reversibility and faster recovery time. But just as lap band has its benefits, it also has its risks and disadvantages. The silicon inflatable ring could tear into the stomach that will require further surgery. Can induce vomiting or nausea. This, in turn could lead to the next risk in this list. Early into the procedure, the band is prone to slip to the lower portion of the stomach (especially in cases of frequent vomiting), requiring the removal of the band. This is why a diet consisting of liquids is required the first few weeks following the surgery. Lap band usually requires several follow-ups after the procedure itself to adjust the ring. You can, however, get the follow-ups done in your home country. When it comes to offering affordable lap band, India is one of the top contenders. Due to the low cost of living in India, lap band surgery could be really affordable. Lap band surgery is part of India’s medical tourism offerings, and some hospitals offer top-notch services and reputable surgeons. Many hospitals in India use FDA-approved lap bands, which mean doctors back in the United States should be able to perform adjustments on it during subsequent check-ups when you go home. India also boasts of an English-speaking community, so while there’s always the risk of a language barrier, it will not be a hindrance when it comes to getting the procedure done. Have you decided on having your lap band surgery in Mumbai, New Delhi, or any other Indian city? Just like visiting other countries outside your own, you have to be well-prepared and armed with necessary paperwork so you can get in the country and enjoy your time there without a hitch. First off: don’t forget all your medical papers! If there are tests or doctor’s notes or medical history needed from back home, stuff them in your suitcase quick before you forget. You need your visa and passport to be able to get into the country. India is a country steeped in culture and tradition. Read up a bit so you know what to expect. It might be a long journey from your home, but if it’s not financially viable for you in your own country, the more affordable lap band offered in India could be just what you’re looking for to turn your life around.